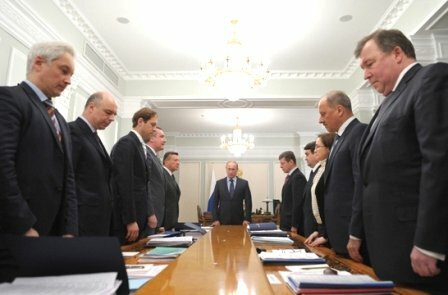 Crisis planning: which way forward for Putin’s regime? Vladimir Putin is President once more, the protest movement is on the wane and there is ever less interest in the predictions bandied about not so long ago that the Putin regime would fall any day now. But this temporary stabilisation does not mean Putin has no problems. On the contrary, they are extremely serious. This makes a study of the various ways in which Russia might develop very worthwhile. At first glance, it could appear under an authoritarian regime the future is very predictable, but a closer look reveals that there is more than one possible scenario. Russian governments do not change in a predictable way, as they do in democratic countries: the forms they take on are often very fanciful and dictated by the economic crises, the mood of the people and the distribution of power among the elites etc. Today we cannot know which the scenario will actually be, but we can quite realistically forecast the forks in the road ahead. The first and most natural possibility we will call 'tough guy Putin.' Russia's ruler has no serious reason to moderate his internal politics and turn the TV from vehicles for mass propaganda into channels for information, because many years of experience have convinced Putin that any resistance can be crushed. We are likely to encounter the next and most obvious fork in the road of the future if the world economy goes into extended and severe free-fall. Everything will depend on the scale of the crisis and the lessons that our government can draw from it. If the crisis is not very severe or very long-lasting, then the 'tough guy' scenario could be preserved for an indefinite period. If the crisis is serious, however, the challenge to Putin could be very dangerous for him. He will have to decide what resources he will use to prop up the economy. 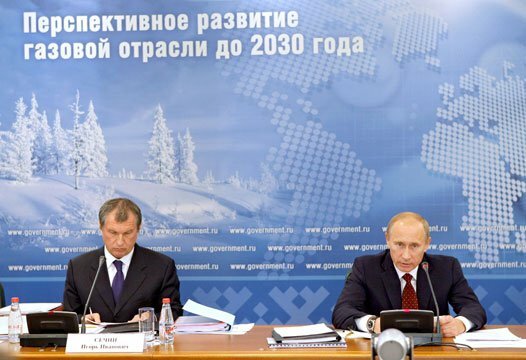 We saw in 2009 that when oil prices fall, Russia's GDP can plummet by 8% a year. That crash, however, happened in conditions that were comparatively more favourable for the regime, because the crash was preceded by long years of steady growth and Putin enjoyed a high level of support. Theoretically Putin has 3 possible ways of responding to a serious economic crisis. The first is to increase government borrowing, which in relation to GDP is at the moment not too high. The second is to increase the tax burden, which was significantly reduced at the beginning of Putin's reign. The third is to increase the supply of money i.e. impose an inflation tax on the country, as happened in the first half of the 90s. All three solutions are possible, but the first has the fewest disadvantages. It would permit Putin to keep going for quite a long time and to carry on feeding Russia – more or less. But, in view of events in Greece, Italy, Portugal etc, financial markets are unlikely to make funds available to Russia on acceptable terms without demanding relevant measures to reduce budget expenditure. This is currently ballooning and severe cuts could be disastrous for the regime, so it is difficult to think that Putin would decide to proceed along that route. Loans will not save the regime. The second option would be fatal for the economy long-term, as it would undermine those few incentives for business development that still exist in Russia. In the short-term, however, it could rescue the regime. The crisis means that Putin will not be thinking long-term, so he would probably be prepared to choose the option to increase the tax burden, but this is not the way out to get out of a crisis. Russian business has considerable experience of tax avoidance. The third route is the most detrimental — but most likely — response. The government will essentially print more money to get funds into the budget. Inflation tax is a simple way of raising money from the people, but it is a terrible thing, destroying all in its path, like a hurricane or an earthquake and would lead to the rapid impoverishment of the whole country. At first people will not realise what is happening, but in the end Putin's popularity will mirror Yeltsin's in the early 90s. The only difference will be that, whereas Yeltsin always had plenty of supporters keen on keeping the communists out, Putin will be faced with a rapidly-developing split in the elites, competing to be the first to betray their erstwhile national leader. If events do indeed take this turn, the current elites will be extremely unlikely to be able to retain their power. If Putin loses his popularity and the elites are unable to hold on to their power, 'tough guy Putin' will turn into something we could call 'powerless Putin'. Russia has recently seen the protest of the well-fed: people disgusted by the government's cynicism and its open disregard for the dignity of the voter who wanted free and fair elections. Protests on a full stomach do not usually present the regime with sudden, catastrophic problems, as long as that regime is not rotten through and through. Well-fed people do not set out to wreck and cause havoc, or to throw up barricades across the streets. They obviously have more to lose than just the chains of the Putin regime, so they are wary of submitting to the truncheons of the Russian police. The danger of this kind of protest for the government would be a protest by the hungry. The outraged elites would not come to the aid of the regime. On the contrary, they would use all their strength, their financial and intellectual resources to help those desperate people, prepared to take on the police and their truncheons, to get rid of the regime as quickly as possible. When the hungry will rise up is, therefore, an extremely important issue for the government. Vladimir Putin and deputy Prime Minister Igor Sechin at a Gas Industry Development conference in Novy Urengoi (2003). As long as energy prices remain high, Putin is not likely to be confronted with a serious economic crisis. This will in all probability depend on the scale of the economic crisis in Europe and how it affects Russia. So far the difficulties in Europe have not brought about a reduction in the oil price, so Putin's regime has not encountered any economic problems. Were the situation to change, however, none of the possible responses to the crisis I have set out would be the best way of saving the regime. The well-fed and the hungry could rise up together, which would present the regime with considerable difficulties. If Putin is powerless when confronted with the masses and the elite united in hatred of him, the regime will indeed fall and the resulting situation will be extremely dangerous. The elites will probably quickly realise that they can reinforce the protest, but they cannot effectively control any positive development. This is roughly the scenario of the Russian Revolution in 1917: it began with the democratisation of society and ended with Lenin and the Bolsheviks coming to power and establishing a totalitarian regime. The people generally have no problem in accepting that the ruling clique is corrupt and stealing money from the state budget, and that there are too many immigrants etc. But they have no wish to understand any necessity for cutting back government expenditure, strengthening private property and the market or attracting foreign inward investment. I do not think that Russia's possible way forward along the 'powerless Putin' road will necessarily end in revolution, pogroms and extended bloody confrontations. That said, it is not a completely impossible turn of events were things to develop in a particularly unfortunate way. More likely is that democracy of some form will be reestablished, but it will bring to power another populist politician, probably someone as yet completely unknown. If we look at Yeltsin, Putin, Aleksandr Lukashenka in Belarus and Yulia Tymoshenko in Ukraine, we see that a new leader can very rapidly be transformed from someone no one knows to a national idol. This could happen in the near future in Russia, too. If remoulding the system was down to the grass-roots, we would most probably see a reincarnation of the authoritarian regime. Democratic transformation usually is a matter for the elites, who carefully prepare the way and just as carefully brought ordinary citizens on board. This could be Russia's way forward, but only if Putin does not insist on a hard line, and instead decides to make important changes to the regime. To do this he will have to talk to the opposition and its leaders who bring such huge numbers of people to the demonstrations. Putin has to realise that his success today is very shaky and too dependent on the economic situation.